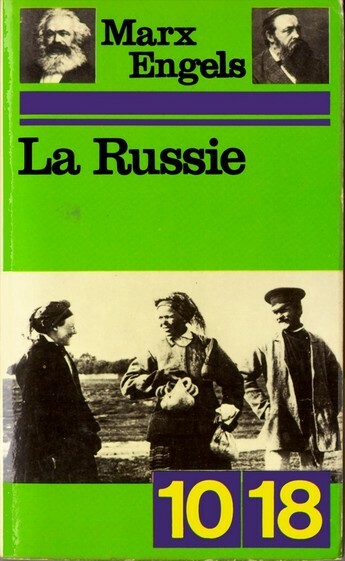 Plusieurs anthologies de Marx et Engels sur la Russie, la crise, le mouvement ouvrier français (traduction, préface, notes de Roger Dangeville) sont désormais accessibles au téléchargement sur le site des Classiques des Sciences Sociales. The reader uninitiated in the history of the working class in Italy, and of the socialist and then communist parties in that country in the crucial years between 1912 and 1926, will find not find John Chiaradia’s text “Amadeo Bordiga and the Myth of Antonio Gramsci” an easy read. It does not pretend to substitute for a full social and political history of Italy in those years; it is rather an attempt to disclose, perhaps for the first time in English, the quite explosive truth about the long-cultivated historical oblivion of one of the great, and greatly ignored, figures of the 20th century Marxism, Amadeo Bordiga, leader of the Italian Communist Left, and the important initial role played in this oblivion by the far better known Antonio Gramsci. Chiaradia’s text might strike such a reader, or even one more familiar with the figures and developments to which he refers, as a vast academic “review of the literature”. But Chiaradia aims much higher than that: by debunking so many esteemed works and their authors, he is attempting to tell the story, largely unknown in the English-speaking world and, in reality little known to this day in Italy or the rest of Europe, of what one might call the Stalinization of the Communist Party of Italy (PCd’I) in the early to mid-1920’s, with Antonio Gramsci as Stalin’s hatchet man in that country. Chiaradia has had, to put it mildly, a difficult time getting this story out. Both academic and left publishing in the English-speaking world, where Italy is concerned, are dominated by what one might call the “Anglo-American Gramsci Mafia”. Chiaradia’s manuscripts, which go back to his 1972 doctoral thesis The Spectral Figure of Amadeo Bordiga have been rejected time and again by “outside readers” beholden to this particular form of academic omerta. Some of his manuscripts have been returned from publishers without comment. The following work, written in 2001, was also relegated to the “gnawing critique of the mice” (Marx), or, in more contemporary terms, of the computer virus, as it were. Only in the past two decades has the English-speaking radical left become vaguely aware of the name of Amadeo Bordiga. Even the broadly left communist and libertarian milieu, has had a hard time getting past the specter of the Bordiga, “more Leninist than Lenin” for whom Lenin was the unabashed “rehabilitator of Marxism”, who tried to convince Lenin to drop the term “democratic centralism” (too much of a concession to democratic ideology) for “organic centralism”. Difficulties are only enhanced by the few English translations of Bordiga’s work. Checking the on-line catalogue of the best university library in the U.S., I found 550 titles about Antonio Gramsci, and 10 about Bordiga, none in English. That is a 55:1 ratio. Yet I would say that Bordiga is easily 55 times more important than Gramsci in the current ferment attempting to discover and develop a revolutionary communist theory for our time. What a contrast with the post-1945 reverence for Gramsci. A quick glance at recent titles of “Gramsci studies” reveals work on a neo-Gramscian theory of international relations, a similar one on a neo-Gramscian political economy, Gramsci on pedagogy as compared to Paolo Freire, Gramsci on hegemony, on psychology and on space; the post-colonial Gramsci, Gramsci and Walter Benjamin, Gramsci and Hannah Arendt, etc. One can of course not blame Gramsci for what others have do ne in his name since his death in prison in 1937, but one can surely recognize that the intransigence that shines through the writings of Bordiga and of the Italian Communist Left (many of whose books are collective, anonymous works) would hardly provide comparable material for all the academics, editors, publishers, etc. who have made careers from “Gramsci studies”. Chiaradia, in the text that follows, properly shows how all the key works on Gramsci available in English, including those of Cammett, Boggs, Piccone, and Hoare, are shot through with at best ignorance and at worst simple dishonesty about Gramsci’s role in destroying the left-wing majority of the PCd’I. These works and many others tend to pass quickly over the crucial years of the early 1920’s and blithely discuss Gramsci’s development with nary a mention of Stalin or the “Bolshevization” i.e. Stalinization, of the international communist movement in 1924-25, nominally under the auspices of Gregory Zinoviev. 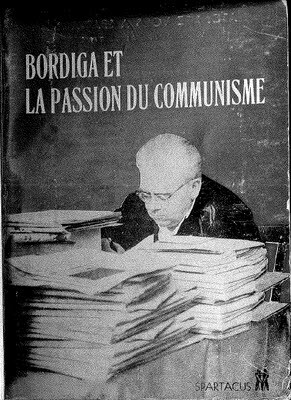 Bordiga, whose role as key figure in the majority left-wing of the first years (1921-1923) of the PCd’I can hardly be denied, is referred to repeatedly in these works as “dogmatic”, “rigid”, and “sectarian”, but no one excels in this school of distortion and falsification like Paul Piccone, in whose book Italian Marxism Bordiga is referred to as a “vulgar” “Marxist-Leninist” and a Stalinist. Piccone is obviously quite innocent of any knowledge of Bordiga’s speech to the Extended Executive Committee of the Communist International (ECCI) in 1926, in which he, as the last western revolutionary to do so, read the riot act to Stalin and his flunkies over the destruction of the International, after which Stalin was heard to say that while not agreeing with him, “Bordiga says what he thinks”, a searing if inadvertent commentary on all those figures populating the heights of the Russian and other parties who had already learned not to say what they thought. In conclusion, one can hardly read Chiaradia’s polemical “review of the literature” without recalling the grandeur of the years from 1917 to 1923, when the European parties that emerged to found the Communist International in England, France, Germany and Italy were quite different from what they were by 1924, for the simple reason that they were based on, and expressed, radical mass working-class movements. Bordiga, who lived until 1970, may have spent decades of his life in his study, producing after 1945 the highly original works for which he is now becoming known, but from 1912 till 1926 he was a prominent figure in a mass workers’ movement. We, today, may feel separated as by an abyss from the realities that produced Rosa Luxemburg, Karl Korsch, Sylvia Pankhurst, Pierre Monatte, Alfred Rosmer, Herman Gorter, or Anton Pannekoek (or John Reed in the U.S. or Andres Nin in Spain or the peripatetic Victor Serge), and all had their strengths and weaknesses, which were, we should recall, the strengths and weakness of the world working-class movement of that era. Looking back, it is above all the Italian Communist Left and the German-Dutch councilists, who in very different ways, at the dawn of the Third International, insisted that the Russian Revolution and its worker-peasant alliance could not be a universal model for the advanced capitalist world, who speak to us most directly from that moment. Chiaradia, in his decades-long attempt to clear away the webs of falsification, ignorance and complacency about Amadeo Bordiga and the Italian Communist Left, has made one contribution to a retrieval of what is living from that era. Du browst gerade in den Espace contre ciment Weblog-Archiven nach der Kategorie 'Amadeo Bordiga'.